Constructive solutions for your construction needs. From design to construction, we help contractors and builders – and their customers – achieve their green-building and sustainability goals. Asante Waste Management is primarily involved with civil work with an environmental hazard element, and will partner with qualified construction, demolition and other trades as needed. 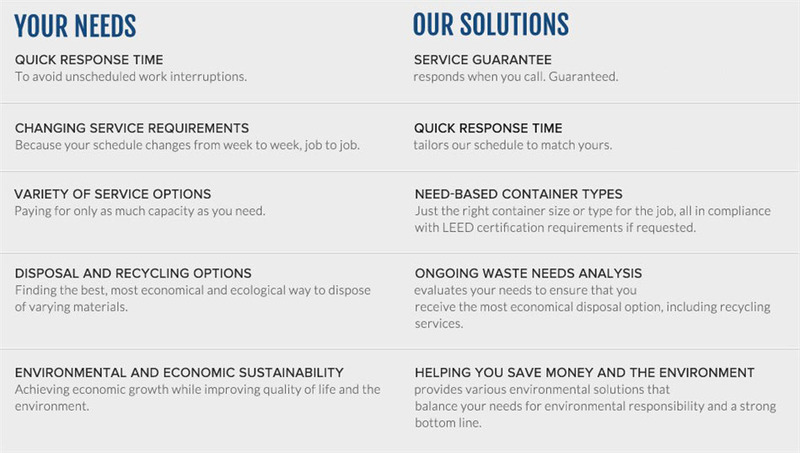 Asante Waste Management’s construction waste disposal offers full-service waste disposal solutions, specializing in roll-off container rental services. From the construction of slurry walls to provide groundwater control, to the installation of fencing and storm water management systems, to routine mowing and maintenance on landfill caps, Stericycle brings the full spectrum of experienced personnel, equipment and site-specific safety to every project. Regardless of the task, we understand the importance of providing fast and efficient service to all our clients which is our first priority thus helping you complete the project on time and on budget.